Dr. Isha Bhattacharyya has been promoted to Vice President, Global Medical Services for Med Communications. She has over 29 years of experience in global, multitherapeutic, and cross-functional team management in Medical Affairs. Dr. Bhattacharyya has worked in France, Japan, and the U.S. with a variety of pharmaceutical companies including Sanofi, Wyeth/ Pfizer, GSK, and Shire. She worked at Paraxel before joining Med Communications in 2013. 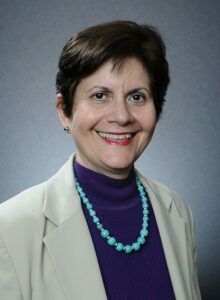 Dr. Bhattacharyya holds her Doctorate of Pharmacy from France’s University of Paris and earned a Certificate of Management from Villanova University in Pennsylvania. Isha has been instrumental in facilitating Med Communications’ global growth and operations, including the opening of the International office in Geneva, Switzerland and additional branch in Lisbon, Portugal.